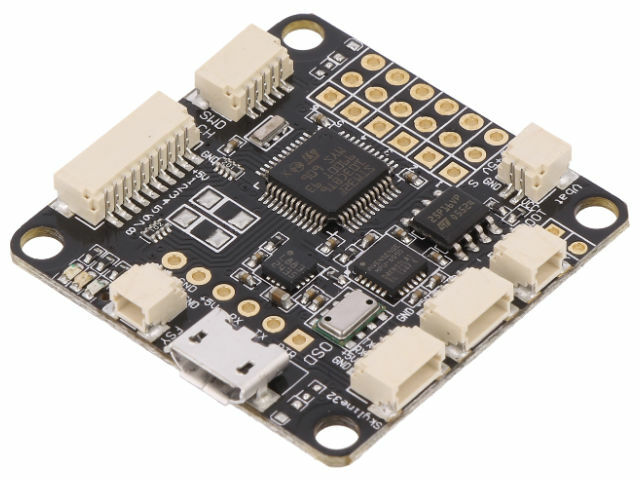 TME’s offer includes SKYLINE32-ADVANCED flight controller manufactured by EMAX. Compact size (35x35x5mm) and great capabilities make this controller a great choice for everyone who wants to build their own aircraft. The producer decided to eliminate standard pin connectors, thanks to which the module weighs only 5.4g. We encourage you to find out more about full TME portfolio, in which you can find many more other elements for RC aircrafts manufactured by EMAX.